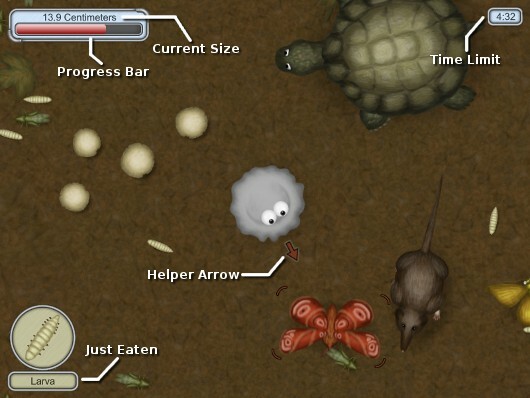 Use the mouse or arrow keys to control the grey goo. Eat everything that is smaller than you. The more you eat the bigger you get. You must fill up the progress bar to beat the level. When the bar fills with red the level will be complete. You must grow to the required size before time runs out (note that there is no time limit in casual mode).